UPDATE: While I have made 7 successful batches, it appears that many folks are running into trouble with this recipe. I recently made an 8th batch and it failed to gel. I have since experimented with several pectins and taken the advice of Stephanie, a reader, and switched to Dutch Gel Pectin which works like a treat! Simply use a generously rounded 2/3 cup of the Dutch Gel and VOILA! Thanks so much to Stephanie for the great idea! My husband lives, breathes, sleeps, drinks, and eats coffee. I mean REALLY. We tea drinkers often get a reputation as being high maintenance, but my husband takes the cake with his coffee rules. The guy opts to drive rather than fly on all business trips under 12 hours so he can take HIS coffee and HIS coffee maker with him. He gets it delivered automatically every month through Amazon.com because running out of coffee? Well, that’s simply unacceptable. His love for coffee runs to all things coffee related with the singular exception of coffee yogurt which just “isn’t right”. So after our grand trip to the Western Caribbean a couple of months ago which included a stop in Honduras where they had roughly 4 million coffee related gift shops he was in coffee lover’s heaven. One of the shops in Roatán sold coffee jelly. The moment I saw it, I knew I’d be making it at home. How could I not? I got home and started experimenting, beginning with my go-to pectin: Pomona’s Universal Pectin. I use Pomona’s for all the jams and jellies I make here during the summer and fall months. It has never failed me and so I expected it to perform like a treat here. I was beyond shocked when my first 4-cups-of-coffee batch failed to set. “No problem! It’s coffee syrup!” I thought, and handed it out to friends as such. I increased the pectin in Batch 2, and had a slightly thicker syrup, but still no set! What the heck? Batches 3, 4, and 5 were made after consulting with their helpline, but still yielded a thick syrup that was most certainly not a jelly. At this point, I had blown through 14 cups of coffee (the last two batches having been smaller, experimental sized batches) and finally decided to throw a Hail Mary by using a box of my long-ago-abandoned SureJell. I went all in with another 4-cup batch (because SureJell doesn’t lend itself to increasing or decreasing the batch size) and held my breath after removing the processed jars from the pot of hot water. Since then, we have discovered that Dutch Gel is actually the most foolproof of all of the available pectins I have used. It was PERFECT. It had the ideal jelly texture and viscosity and was a sight to behold. Upon reflection (and discussion with my sister who is also a devoted Pomona’s user), I think the reason Pomona’s failed here when it has never failed before is a quirky one. Pomona’s gelling action is activated by a low sugar environment (which I used in my experiments) and the addition of calcium water. Coffee has been proven to leach calcium from bones (it’s on the watch list of foods to avoid if you have osteoporosis) so my theory is that it prevents the calcium water from activating the pectin. Like I said… it’s a theory, but it’s the only reason I can think of that Pomona’s wouldn’t do the job it’s so good at doing. …And that is the story both of how Dutch Gel found a small place on my shelves (next to the Pomona’s) for one single use, and how I blew through a 32 ounce bag of my husband’s coffee beans and he was relegated to eating a jar of Coffee Jelly for breakfast and was quite surly until I overnighted a new bag here the next day from Amazon. Ahem. Whoops. Sorry, honey. I’m going to go ahead and say it. Dutch Gel is the best option for pectin here. Pomona’s failed absolutely in every single variation I tried. Dont’ get weirded out by the presence of lemon juice in the recipe. For starters, it’s absolutely necessary to make this a safe item to can. The acidity is what prevents microbial growth in the jar, so it’s not optional to omit it. Don’t be tempted to diminish the amount of sugar in the recipe. Dutch Jel is designed to work with a specific range of sugar and this recipe was tested using exactly 5 1/2 cups of the sweet stuff. In order to make it lower sugar, you have to use a low-sugar pectin, and my experiments with that (specifically Pomona’s) were abject failures. Think of this as a sweet treat. Are you wondering what to do with a batch of Coffee Jelly? Do you have coffee lovers in your life? Give them a jar for the holidays! Coffee Jelly is a great Christmas stocking stuffer! You can spread it on toast or do like my husband loves: spoon onto Simple French Toast then top with whipped cream and a dusting of cocoa powder! 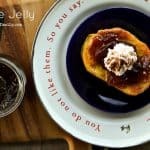 This jelly is a great beginning canning project. If you need help with canning basics, SEE THIS PAGE. This post originally published November 2014, updated with video and improved cook’s notes in October 2018. Oh my goodness!! This is so fantastic sounding. Great idea! This sounds delightful! Can you please tell me who makes the bowl with the Dr. Seuss saying? It’s great. Thank you! I’ll look up the plate manufacturer when I’m at home. I believe, if I’m not mistaken, that it’s an out-of-production line, but can still be purchased on eBay and similar places. Hello, I followed your recipe to the T and I have nothing but syrup. How can I make this into jelly? I don’t want to waste the ingredients. Hi Karen! I would take some of the cooled syrup and whisk in some clearjel, then bring the rest to a boil and whisk that in. That way you’ll get a spread! What coffee does your husband order? I have plenty of Ball pectin at my house – do you think it could be used in place of the Sure-jell? I haven’t tested it with the Ball pectin. If I were you I’d try it, I just can’t guarantee the results. I’ll give it a shot. I have several coffee fiends I know that would love this stuff. You have the most interesting recipes! I live and breathe coffee too, and this looks fabulous to me…your photo really captures its essence! Hahaha! Couldn’t help but laugh aloud at picturing your hubby getting his coffee fix with a jar of coffee jelly ;0) It just proves how much he loves you! Does sound delicious though. That is so the truth. He has the patience of Job! This is the answer to my coffee prayers! Nothing better than having a nice cup of coffee with some coffee jelly toast in the morning. Can’t wait to make this! I haven’t tested it, but it sounds like it would taste lovely! Of course, you’d have to leave the milk out of the chai as the dairy doesn’t can well! I think I’ll try it, after I order some new jars and some pectin, because, of course I would be interested in canning within a year of giving away most of my moms old canning stuff lol. Ah, well, I couldn’t have anticipated how my interests changed after my mom passed. Anyhow I look forward to trying this out! I am so excited about this recipe. It’s the perfect addition to our kids homemade Christmas boxes. BUT, I have attempted two batches of this, one last night and one tonight. I used french press coffee, bottled lemon juice, sugar and the sure jell pectin. Followed the recipe to the letter on the first batch and got a batch that didn’t really thicken at all. On the second batch I extended the cook time (after adding the sugar and pectin mixture and returning to a rolling boil) to 5 minutes. I got a thick syrup on the second batch. Any idea what I’m doing wrong. Should I be using the low sugar sure jell? Did you can the ones that didn’t appear to be thickening? Let’s watch those jars for a few days. Sometimes SureJell takes a couple of days to set up. If it still doesn’t appear to be setting after those two to three days, let’s reassess and I’ll see if we can troubleshoot it together! I did can them and I’ll keep an eye on them. I’ll let you know what happens. Just finished making your Candied Jalapeños. Those little suckers are awesome! Hooray!!! I’m glad you like the Candied jalapenos. They’re a staple at our house! I’ll look forward to hearing how your coffee jelly fares. Another thing you can do is stick one jar in the refrigerator and see if it sets up any faster! One jar in the refrigerator for the past 36 hours. The rest on the kitchen counter. Three days since I canned the jelly. No change in the consistency of any of the jars. I’m going to try another batch this weekend. Any ideas? I’m having the same issue with it not thickening up. Was trying to see if there was some trouble shooting that had happened. I’m going to can this batch and then try the pick your own “how to fix a non gelled jelly” bit tomorrow if it doesn’t set. I never got a reply from my last post so no trouble shooting happened. I tried to fix the non gelled jelly. It still did not gel and the flavor was altered dramatically. I tried a third batch and got the same results. I sent the kids Christmas boxes off today. Sadly, without the coffee jelly. I also tried your recipe with the regular SureJell, and I have 6+ half-pints of thin syrup. I put the partial/unsealed jar in the frig to see if it would set up, but…. no. I’ll continue to watch comments to see if anyone has a ‘fix’ for transforming syrup into jelly. I tried making this jelly tonight, following the recipe to the letter – no luck, no gel, just thin syrup. Kinda disappointed. It sounded like a really good idea. I tried this yesterday, following your instructions precisely. Thin syrup, even after sitting for 24 hours. I opened all the jars, poured the contents back into the pot, and brought the whole mess to a boil again. I added ANOTHER package of sure jell (I had made two batches, so this would have been like adding an additional half box to each original batch) and boiled it for a full three minutes. To my dismay, after processing it is STILL syrup! I give up, my friends are getting syrup for Christmas. sigh…. It seems the coffee jelly is a finicky thing. I’m sorry you’re having trouble with it. When you made your first batch, was it a double batch or did you make two individual batches? I know that sounds like a weird question, but Sure Jell actually is known to fail when made as a double batch. It has something to do with the amount of time it takes to return to a boil. On the plus side, speaking from failed-batch experience, I know the syrup is tasty! So, my first try at this I kind of mucked up the recipe (I know, how could anyone do that?) by adding the lemon juice already mixed into the sugar… half of the sugar. The recipe didn’t set up right. (I do make very strong pourover coffee, so this may also be part of it). Anyway, I’m giving it another go today, but I’m curious to know if anyone is experimenting using espresso in lieu of brewed coffee, or adding in extras–like scraping a vanilla bean to throw in there for vanilla coffee jelly!!! The “extra flavors” seem limitless, but I don’t know what adding flavors or additional syrups would do to processing time! Suggestions? Attempts? No-nos? I had the same issue with it not setting up. I am new to canning though. Does the jelly need to be relatively thick before ladling it into the jars? Can this be achieved by either reducing the amount of liquid (coffee) or letting it boil longer? Just trying to figure out what I need to do to troubleshoot this myself but since I’m new to this I didn’t know if you had any pointers. Thank you! I made this jelly yesterday after reading thru all of the instructions and responses by others in respect to it not setting correctly. A few alterations on my end: 4.5 cups of sugar in total as that is what a pink low/no sugar box of Sure Jell on my end calls for. I brought the coffee/lemon juice mixture to a boil then added 1cup of sugar mixed with entire packet of Sure Jell, brought this back to a boil, then added the rest of the sugar (4.5 cups in total) and brought this to a boil. Stir mixture together really well in after each sugar addition. I split the pectin/sugar additions because when I work with other jellies and preserves this is how it suggests it to be done. This is not my first time canning and one thing I do normally check for after the second addition of sugar is to be sure the mixture is starting to gel as I expect it to: stir the mixture with a spoon and then pull the spoon out and hold above pan exposing to air to see if it will start to gel on your spoon. Using the hot final product I filled my jars appropriately and processed in a water bath for 10 minutes. Pulled the jars out and let them sit on the counter to cool, they eventually set nicely after a few hours of cooling. Mine has not set. I am going to try your method. It is pretty sweet. BUT…I drizzled some of the warm syrup over vanilla ice cream. I AM IN LOVE!!! Hello everyone I’m late posting this but I made this coffee jelly as gifts for Christmas 2016, following the instructions from Jen. I must say I’m glad I did after reading all the disappointing comments of not getting this jelly to set, I was a little skeptical on trying this to give as gifts but I was curious as I know this would make the perfect gift for those I had in mind. I suggest to others to follow Jen’s method, as my jelly turned out perfect & being enjoyed by those it was given to. Thanks a million Jen. Thank you for giving us that feedback, Sharise! Is it jelly consistency coming out of the water bath or does it have to sit? Mine is pretty runny. Thanks for your help. It’s definitely still runny when you take it out of the water bath, it’s just come out of a boiling water bath. You have to let any jar coming out of hot water baths cool before you get anything to set. I really don’t even bother to mess with the jars until the next day to test for setting once sealed. Like I said I check for my own gelling consistency before I even start filling jars. Thanks for weighing in with these awesome tips, Jen! Sometimes it takes me a while to get back to help problem solve a recipe and you got this one for me! 🙂 by the way, took the coffee jelly to work today to have some people taste test it beyond what I thought, all agreed it was great!! Thank you for sharing the recipe! Hello all you crazy jelly makers! I happen to love making ‘off-the-wall’ goodies too! I would LOVE to turn this Mexican Coffee goodness into a jelly! I know to omit the cream. What about canning with chocolate? Maybe a chocolate flavor instead of syrup? And the sugar…. This will be the tricky part I think. Do I use the regular amount of sugar and add 2Tbsp. molasses or just swap out some of the white sugar and use the dark brown? Well? I don’t think you’re nuts… I think you’re kindred for playing with food. I’d advise forgetting the sugar as the sugar content should be taken care of by the jelly making process. Trust me. It’ll be sweet. Chocolate might be okay, and I can’t see an issue with the cinnamon. Obviously we’ll ignore the dairy, because that’s not suitable for home canning. PLEASE play with it and let me know what you end up with! Sounds delicious. Your recipe, as directed, made my taste buds very happy, fell in love with the deep coffee flavor, but no set. I used regular coffee, with no alterations. brewed as stated above with 1/4 c dark brown sugar using 10 c water and enough DECAF coffee to make a full pot. (Leaves me some to drink!) Stir well after brewing, measure the 4 c per your recipe and add 2tsp unsweetened cocoa powder. Stir well. Add to the pot with lemon juice and boil. Now, here’s where I strayed off your recipe. I added the SureJell now, by itself, per the SureJell directions for Cooked Jams& Jellies. Brought that to a full rolling boil and then dumped all sugar at once. Then another full rolling boil for exactly one minute. Hot water bathed. Set as jelly should, once cooled! Thank you for inspiring me to ‘risk that precious pot of coffee’! Hmm that’s odd. I just made a batch of coffee jelly with Pomona’s and it set just fine. I wonder why it didn’t turn out for you. Just a few thoughts about why it might not be jelling. I just found this recipe and haven’t tried it yet but will. I would agree with Che’ree about the coffee being a big factor. But I would add that brewing method would be a little more important. The French press, as a previous commenter said they used, will leave a lot more particulates as well as a lot of oils in the coffee and who knows what they will do chemically to the process of the jelly setting. Using a metal filter will leave more oils as well, but fewer particulates. Using a paper filter and running hot water through it to rinse out any off flavors before filtering the coffee would probably give the best results regardless of the type of coffee used. However, you will lose the more subtle flavors of the coffee through a paper filter. Just about the cleanest brewing method is a common auto drip brewer. And yes, coffee is VERY finicky. If you grind your own coffee you may also so want to experiment with letting the ground coffee sit open over night. There are a lot of trapped gasses in those freshly roasted beans that may be a factor as well. That being said I have not tried to make this recipe but I sure will soon! This sounds so wonderful but I absolutely cannot do sugar. I may try it with Stevia to see how it would work. the sugar in jelly and jam is what helps it get up to the temperature required for it to set. if there’s not enough sugar, the jelly will never set because it can’t boil hot enough to reach the set point. Acid is absolutely vital to ensure the safety of jelly/jam because low-air enviornments like canned food are the perfect place for botulism if they are also low acid. the acid prevents clostridium botulinum from growing and producing the botulism toxin. This is why low-acid foods need to be pressure canned, because a water bath canner cannot reach the temperatures needed to kill the botulism spores. To that point, I’m a little concerned about the safety of this recipe. The natual acidity of the coffee will change depending on the type used and the strength of the brew, and it was never said what the method used to determine the amount of lemon was. 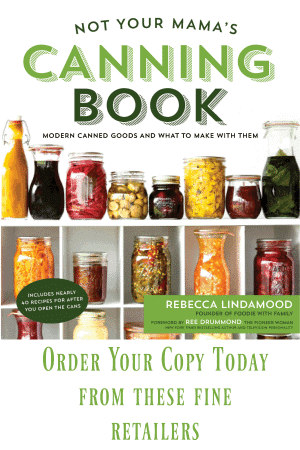 So how do we know the final product is safe for canning? A friend sent me this link and I gotta say I’m so intrigued. I’ve gotta play with this. The Mexican coffee sounds divine. I was thinking a twist on Irish coffee too!! Do you think this would work with splenda or stevia in place of real sugar? My father is a coffee find so I’d love to make this for him for his birthday, but he’s also diabetic and can’t have anything with near as much sugar in it as this calls for. I used SureJell last night–first time ever trying this recipe–and it failed to set. Not giving up, and will try another batch today, but just wanted to pass this along. Hope I can get a batch to set, soon. I’m intrigued by the idea of coffee jelly! Hi — I just read that Sure-Jell has MSG in it (besides being very bad for you, my daughter is allergic to it). Tried a second batch using SureJell and after one week it has also failed to set. Not giving up hope as I really want to make some coffee jelly, but I am a little frustrated at this point. What else can I try? Hi Lincoln- I’m going to go grab a bag of Dutch Gel from my Amish friend who sells bulk foods and try it out to see if I can rescue one of my ‘syrup’ batches. I’ll fill you in when I’ve done the run through. Did the Dutch Gel rescue your syrup batches? Was hoping to find out if you got it to set consistently. Let me know how the Dutch Gel batch turns out. That’s what I have on hand. I learned about Dutch Gel from one of my cousins in PA. Sure Gel and Ball were not working well with acidic jams and jellies for me. This year my batches of pomegranate didn’t set correctly, nor did my first batch of wild blackberry jam. This is unacceptable. I have seven acres of Ozarks brambly hills that cause me to fall, swear, and bleed. There’s gonna be some damn jam. I passed the first batches of as syrups for ice cream and pancakes. People loved them. So, before I made anything else, I got Dutch Gel and it worked. So I have hope. Add to cocowhip or coolwhip for popsicles. MCP pectin, cold brew Starbucks Italian Roast coffee, bottled lemon juice. I mixed pectin with coffee, brought to a boil, added sugar, brought to a boil, boiled 3 minutes (2 was probably plenty), and it set up. I read the jelly making instructions in the box and followed those guidelines a bit. Perhaps a longer boil time? Jelly making is like candy and the sugar needs to be cooked too. What is MCP pectin? I’m new to canning and have not heard of it. did your jelly take additional time to set? i followed your instructions and was tempted to cook the jelly longer (since it was still liquid) but didn’t want to burn it. it hasn’t set but maybe it will after a couple weeks? I have been an avid pinner since this site was set-up and have never made comments before but I have to admit this is about the best idea I have seen in – well – years. Thank you so much for a gift for that picky persnickety coffee lover because – well chocolate covered beans are just not enough. Love this coffee recipe. No need to get starbucks’ coffee jelly. Great job! I just made a batch and noted that my quantities ended up a little higher than yours. When you say ‘cup’ of coffee, do you mean an 8 ounce cup or a connotative traditional 6 ounce ‘cup’? I used 8 ounce cups. Tomorrow I will check it and see if it jelled! I just made this for the first time. I make a lot of jelly and all of mine sets up fine, but not this batch. I reheated 3 times for a total of 10 minutes hard boil. Flavor is great. I am wondering if adding a bit of gelatin would help after all is cooked? I am going to try the recipe with less coffee. I may use Liquid Certo which is my preference. Great idea. I did freeze this and it has the consistency of refrigerated honey now. Very tasty. Will let you know how all turns out. Mine hasn’t set up either. 🙁 I think the instructions are incorrect. I’ve never had a recipe tell me to mix the pectin in with the sugar like this. If I try it again, I will use the normal instructions and add the pectin in with the other ingredients (all except sugar), bring to a boil and then add the sugar all at once, bring back to a boil and boil for exactly 1 minute. Actually, this pectin (the one that the recipe is developed for) is done differently than “standard” commercial pectins. With this pectin (Pomona’s Universal Pectin), you mix it in with the sugar first. I wonder if this is part of the issue a lot of folks are having. Pomona’s and other pectins are not interchangeable. Waiting to see if mine sets up…first time ever doing this. Not setting yet. My coffee and sugar boiled over and left a total mess on my glass top stove 🙁 Still trying to clean it now. Hopefully I can clean it. I am super excited to try theis. My big question is why remove the rings and just leave the lids on? There are two really good reasons why the rings should be stored separately from the jars. The first is that they last longer when they are removed, washed, dried, and stashed in a plastic bag (they have a tendency to rust if not stored properly). The second reason is that if the contents of the jar happen to spoil (though it happens rarely, it does happen), you’ll know more immediately. That’s because when things spoil, it typically happens because there’s some sort of bacterial growth that off-gasses. That creates pressure which eventually breaks the seal. If the ring had been on the jar, you truly might not know if a seal is no good. Mine didn’t set up. 🙁 Every jelly recipe that I’ve worked with says to mix the pectin in with the other ingredients, bring all of that to a boil and then add the sugar, all at once. Once it comes to boil again, then boil for 1 minute. What is the purpose of mixing the pectin in with the sugar? I think that’s why mine failed. This looks amazing! What do you serve it with? We like it on toast or French toast. I have friends who eat it on ice cream! So I have tried this recipe three times now. The first two times were absolute failures. I ended up with a thin coffee syrup. I reopened my jars, put the “jelly” back into the pot and added another pack of surejell and it still did not set. And, after adding the second pack of thickener, it had a weird sour taste. Today was the third at. AND I FINALLY GOT IT!! Use the directions in the surejell packs. Make your coffee. Then, MAKE SURE YOUR COFFEE IS AT LEAST COOLED DOWN TO ROOM TEMPERATURE before you begin to boil it. so that it boils the right amount time. So, you have your cool coffee in your pan. NOW is the time to add the surjell! Pour the pack in a whisk whisk whisk until it is dissolved. Bring this to a rolling boil at MEDIUM heat. I also took the lemon juice down to only 1 TBSP because of my personal taste preference. Whisk whisk whisk until it seems dissolved. Now bring it to full rolling boil Again. Do not try to get it to boil faster by cranking the heat up! This will cause it to foam over! This takes a lot of patience! When the mixture returns to a full rolling boil, boil it EXACTLY one minute. After the minute, turn your heat off. Use a metal spoon to scrape off the foam and discard it. Ladle into your jars, and ya’ll know what to do from here! This is a great recipe! The flavor is amazing and it’s a wonderful idea but I do think the Instructions were a bit unclear possibly because she used a different kind of thickener other than surejell? Still great though! when I first saw this post (on Pinterest), my first thought was “Pomomas! !” So surprised to see that it didn’t work, but I think your theory makes sense. Actually coffee syrup sounds better than coffee jelly (to me). Syrup for ice cream, to mix with water for iced coffee, to pour over ice and just add cream, milk shakes, … I may have to go make some syrup! I love your scientific theory of why your first few batches didn’t work. I bet you are right on that. I am glad that you included that in your article. It made for interesting reading. I also love the idea of this jelly. I never thought of Coffee Jelly before. I think it would make a great gift for my coffee addicted friends and relatives. I have several people in mind right now. Keep up the good work. I love your style! Did you use liquid Sure Jel or powdered Sure Jel. Also you said one box if liquid pectin did you use both packages (two come in a box) Last but not least would you share with me your candied jalapeño recipe? Hi Ramella- I used powdered Sure jel! And the candied jalapeno recipe is available here on Foodie with Family! I know what I am doing for christmas, and I know how to use the last of the SureJel packages I have from summer canning. All of my coffee lover friends will thank you. After reading all the comments, 2 made a lot of sense why it does not jell.First I think it could be the coffee with the oil.. content and secondly not letting it cool and sit. I would put it through a coffee filter again after it has cooled to take as much impurities out as possible. The process of adding your jell and sugar in the right order might be affecting the outcome. Sometimes even the water quallity makes a difference. Experienced canner here – this recipe totally didn’t work. I have 12 half-pints of lemon-flavored sweet coffee water. Very strangely, the little bit of extra syrup I poured into an open container and let sit overnight without processing has jelled perfectly – just not the half-pints processed in the boiling water bath. Anyone know of a way to save this batch? I would like jelly, not syrup, as I wanted to give these as gifts. My coffee pot only makes 1.25 cups at a time (it’s my Italian grandfather’s little stovetop model from 70 years ago), and I’m hugely pregnant, so it might not be worth it. Hoping to see a follow-up to this comment soon. Well bother. It has worked well for me several times, but then I remade it and it had an issue. I’m going to set about trying to trouble shoot this recipe in the new year, but at the moment, I am not sure what’s going on with everyone. I would suggest thickening what you have with a canning starch like Clear Jel or Therm Flo (both available at bulk foods places and on Amazon.) Take care not to use instant clear jel, though… Instant Clear Jel isn’t made for canning. I’m assuming the issue has something to do with the oil in the coffee and/or the acidity. I don’t have ANY idea why it would work multiple times and then just not. I’ll get on it, though. Edited to clarify: To thicken it, I would suggest brewing more extra strong coffee and cooing it before whisking into some clear jel and then whisking THAT into your jelly in a pot. Bring to a boil to thicken. You may have to experiment with how much to use, but as long as you’re whisking the clear jel into the chilled coffee before adding it to your boiling mixture, you won’t upset the flavours or the texture. It’ll become gelled enough to spread on toast when it’s thickened and bubbly! Wish I’d read all of the comments first! What a waste of 5 1/2 cups of organic cane sugar!! Deborah- did you see my note about a suggested fix in the comment above you? It should help you salvage the batch. Success…finally!!! I tried this recipe multiple times last year with no success. Since then I have been following all of the comments and suggestions hoping for a solution. I used Sarah’s ideas (thank you Sarah!!) from August 15th and some other suggestions and it worked! I am so excited I will be able to include these prized jars in my kids’ Christmas boxes this year. I brewed 32 oz. of French roast coffee on the strong setting in my keurig. I let the coffee cool completely and then ran it through a coffee filter to draw out more of the oils. I put the coffee and 2 tablespoons of lemon juice in a 12 quart stock pot (it does have the tendency to boil over in smaller pots). Then I whisked in one box of the sure-jell powdered pectin. Heated over medium heat stirring constantly until it came to a full rolling boil. Added 5 cups of sugar and continued to stir until it returned to a full rolling boil. Cooked for 1 minute at full rolling boil stirring constantly. When I took it off the stove and ladled it into my hot jars it was already starting to thicken. I tried to include a picture but the page wouldn’t let me. It turned out beautiful…and delicious! Fantastic feedback, Shari! Please send me a picture via email and I’ll try to pop it in here for you! The picture came through in my email just fine and your jelly looks magnificent! Now I just have to figure out how to put it here in the comments so other folks can see it! I also used Sarah’s suggestion by following the direction on the sure-gel box. Worked beautifully. i put the lid on and with the heat from the hot jelly i put in there it sealed itself so i think you don’t need the hot water bathe with this recipe it is what is killing it and not allowing it to become its awesome jelliness! Awesome feedback, Teresa. Thanks for letting us know what worked for you. As an avid jammer, you know that the water bath is needed to make it shelf stable. If you’re okay with eating it up quickly, though, and storing it in the refrigerator, skipping the bath is totally okay. has anyone tried this with flavored coffee? or with a flavor added too it? was thinking a caramel coffee jelly sounded delicious – but i am no jammer – so I’m not sure how you would go about doing this. any suggestions? Hi Amy- That does sound tasty, but you’d have to be careful about the type of caramel you used both because of sugar content and because much caramel has a dairy base and dairy is a no no for canning in any circumstances! 2- I need to find a proper substitute for it.. which I should be able to manage..
49.611 ounces, Rakhi! 😀 A modified food starch (designed for canning) will also do the job! HI, can I use gelatin instead of the pectin? Hi Nictjie. I would stick with pectin if you intend to can it. Gelatin is not suitable for canning, safety-wise. I ended up opening all the jars and adding a packet of gelatin so it was at least usable, and stored it in the refrigerator. Did you use surejell liquid pectin or surejell powdered pectin? Hi Sarah- I used the powdered pectin! Picked up a jar of coffee jelly last weekend at a festival in Mississippi. First time I had even heard of it before. Being an avid coffee drinker, I needed to try this. Loved it and that’s why I’m here looking for a recipe. After reading the recipe and comments I was surprised to see the pectin going into the already boiling water. In all the years I’ve been canning this is a no no and will result in the jelly not setting. I’m going to try to make a batch this weekend and will let you know how it turns out. Your recipe looks like a good one and I can see no reason why it wouldn’t set except for the fact that the pectin is being added at the wrong time. Try this. Whisk together pectin with 1/2 cup of your already measured amount of sugar. Now, in your pot add coffee, lemon juice. Whisk in your sugar/pectin mixture until dissolved. This mixture keeps the pectin from clumping when added to cold ingredients. Bring to a full rolling boil that can’t be stirred down and add the remaining 5 cups of sugar. Return to a boil for 2-3 minutes at which time you can ladle in your sterile jars. I will report back after I’ve made it. I just made a batch of this, though I was nervous after reading about some people’s issues. But I think it’s working! I had a bit of foam that I put in the fridge, and it gelled just fine. I used a regular drip coffee maker (with coffee that I bought today, because the other coffee I had expired in 2011…), and added the sugar AFTER the coffee, juice, and pectin (SureJell) started boiling, as the pectin instructions say. It did almost boil over on me at one point, but I turned it down in time! I did brew the coffee pretty strong (I think… I’m not a coffee person but have lots of them in my life!) and the flavor is definitely pretty bold, but I think it’ll go over well! Oh, and I somehow got 8 (8 oz) jars?! I’m out of SureJell but have plenty of Ball pectin and I think they work much the same so I may try that if I need more. I’m not a coffee drinker so I don’t own a coffee pot, (or ground coffee, for that matter.) I was wondering if anyone has tried making this recipe with instant coffee? I’m pretty sure my mom will love this (I love mine! ), but I’m wondering if it’ll work with decaffeinated coffee. She cannot have any form of caffeine in her diet as she is in End Stage Renal & Liver failure. Do you happen to have any experience with using decaffeinated coffee or have any tips that may help me in making this for my mom? Thanks so much! Hi Cheri- I’m sorry to hear about your mom’s health problems. I have not tried making it with decaffeinated coffee, but I see no reason it wouldn’t work out! Just FYI for you. I can using low sugar pectin all the time with great results. Ball makes a low sugar pectin that works well. I get nice textured jams and jellies consistently. Try it…it’s in a pink box. Thanks, Jody! That is true that Ball makes a low sugar pectin, but I have some family members with food sensitivities and the Ball low-sugar pectin has ingredients they can’t eat, so I’ll be sticking with the Pomona’s. I do prefer the Pomona’s for versatility, too, because you can upsize or downsize any recipe at will whereas Ball specifies against it. What a wonderful sounding recipe! I LOVE coffee anything! I haven’t made this yet but I plan to. 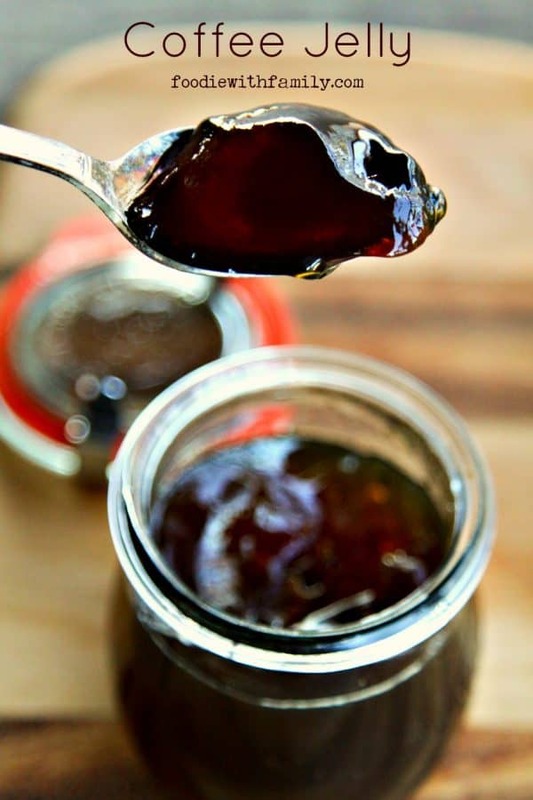 Coffee jelly or even coffee syrup sounds good to me! Sounds like a great gift too! BUT what I plan on doing if mine doesn’t set is to make my own kaluah ! I would just add a clear liquor such as vodka or rum and yummy!!! Hi! First of all, thanks for the recipe. I noticed your commentt regarding failed attempts at gelling. I made this jelly today and it gelled perfectly. I used the same ingredients but my method is just a bit different. I make my jelly according to the sure-jel directions, which are included in a paper leaflet with each box (my mom had to point this out to me. Otherwise I would’ve trashed it). I combine the sure-jel in with the coffee and lemon juice and bring it to a hard boil, one that can not be stirred down. THEN I add the sugar and return to a boil for one minute. My jelly is perfect! Thank you for taking the time to fill us in, Sharlene! I’m so glad you had a great gel from your jelly. I hope everyone reads your comment! I have successfully made this jelly with dutch gel 3 times now. I use a rounded 2/3 c of pectin. Just throwing that out there since you mentioned that it would probably work, but you weren’t sure. Thanks for a great recipe! Thanks, Stephanie! I’m glad this is working for you! Do you use 4 ounce or 8 ounce jelly jars? Hi Beth- I usually use 8 ounce jars. Is the pectin liquid or powdered? I have the liquid pectin and in each box there are two packets. Is it one packet or both? Thanks! Hi Grace- The recipe was originally written using the surejell powdered pectin, but I have since changed my recommendation to use Dutch Gel powdered pectin. It is far more reliable in its set than the surejell was! This sounds yummy, one question. If that brand of pectin is not available where I live any suitable replacement you could suggest? My mom & just tried this. We used liquid pectin. We ended up with a thin syrup. We poured it back into the pan, let it simmer for about 20 minutes, added powdered pectin, returned it to a boil & boiled for 1 minute. This did the trick! It gelled quickly and the taste got milder. It was pretty strong before. Excited to try this once it cools and finishes setting. OMG, this is such a hit! We used SureJel in the yellow box (NOT low sugar) first mixing 1/2 cup of the sugar to the SureJel and adding that to the coffee, heating to a boil, then adding the rest of the sugar. Get it to rolling boil and keep boiling for a minute, then into the jars. We used 1/4 pint jars because we wanted to give it to people to give a try and didn’t want any wasted if they didn’t like it. The first batch was made with a flavored coffee (Choc. Caramel Brownie) and YUM. I’m not a coffee drinker and I loved it. We decided to make 3 more batches for a recent holiday craft fair. We let people sample and sold all 36 jars very quickly. The 3 batches were made with the Choc. Car. Brownie flavor, Cinnamon sugar cookie flavor, and snickeroo flavor. People loved the small jars for the same reason we did….most were giving them as gifts and didn’t want to take a chance. THANK YOU for our new favorite jelly recipe. We LOVE that we can make it any time of year and there is no fruit prep necessary. I’m very glad it worked well for you! I just want to know if you did hot water bath after you put James in the jars? water bath for your jam. If someday you come to Costa Rica, you can try my original recipe of Coffee Spread, by Dorikuk Gourmet. As for the lengthy stories, part of the beauty of blogs is the ability to scroll right past what you don’t need directly to what you’d like to read! I am changing it up a bit. Adding 1/2 teaspoon per cup of coffee and replacing lime juice for lemon. Trying for more of a Polynesian taste. That 1/2 teaspoon per cup was cinnamon. I have not had my coffee yet. Can I use sure jel? Hi Marci- This recipe is not designed to be made with Sure Jel, so I couldn’t actually tell you whether it’ll work out well. If you try it, let us know how it goes! I know it sounds odd but all the jellies and jams I ever made did not use a hot water bath. I put the hot jelly in the jars and turned them upside down. They always sealed and were delicious. This is even how I did my Ocean Spray cranberry jelly. Can I do that with this recipe instead of the hot water bath? Your note says you haven’t experimented with Dutch gel , but yet your recipe calls for Dutch gel and not sure jell. What gives???? I haven’t updated the body of the post to reflect that I’ve tried the Dutch Gel now and far prefer it over my original recommendation! Would love to add some blackberries to this recipe. What do you think? Hi Lyle! Welcome and I’m glad it sounds good to you! Well well good morning all the way from Honduras, and I also grew up in Roatan. My father’s family is from a Spaniard descendent from Santa barbara and mom from Guanaja bay islands …. I am a mixed I am a local mix and I got married to an Arab descendant ans live in San Pedro Sula. Because I grew up in right then you know we use Mutton pepper there ….. well It’s really a scotch bonnet pepper variety my mom would always make a yellow paste out of these peppers and Wood call it macombo ….My husband like the saws so he registered the name and I would bring products from Roatan to my home because we like it. But my kids would always take the pepper jellies out that I would purchase and Roatam and my youngest kids had one day why don’t you learn to make them I literally prayed and got a recipe and started making jelly’s and sauces so now the reason why am writing this because I normally don’t write is that two days ago I found myself making coffee jelly and Not only coffee jelly I am making Mutton pepper, pepper jelly. Hi Derby! Thanks so much for the great rating. We loved that coffee jelly and we loved Roatan! I also make a pepper jelly, but I’d love to try mutton pepper jelly! My first taste was on a pumpernickel bagel, ohh so good. My confessions, I like dark coffee, no cream or sugar. My adjustments: I cold brewed the coffee for about 32 hours, lowered the sugar to 1 cup and used agar-agar [1 tablespoon per cup] instead of pectin. (Can be foud in oriental markets or high end grocery stores) I did not use lemon juice. I have been using agar-agar in a number of jams & jellies, it is nice because it does not requiire sugar to set. You can add sugar to taste. Thanks for the original, I will be making this for friends. 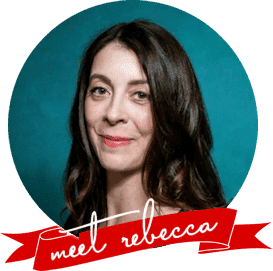 Hi Robert– I love the cold brew idea! I would rethink the leaving out of the lemon juice, though, as that acidity is required to prevent bacterial/microbial growth due to coffee’s low acidity. I actually don’t know whether Truvia would work because I have not tested it. I’m sorry I can’t be more helpful. Hi Rebecca, I live in a very small, remote town and do well to just find Sure Jel. I am usually successful using that product. 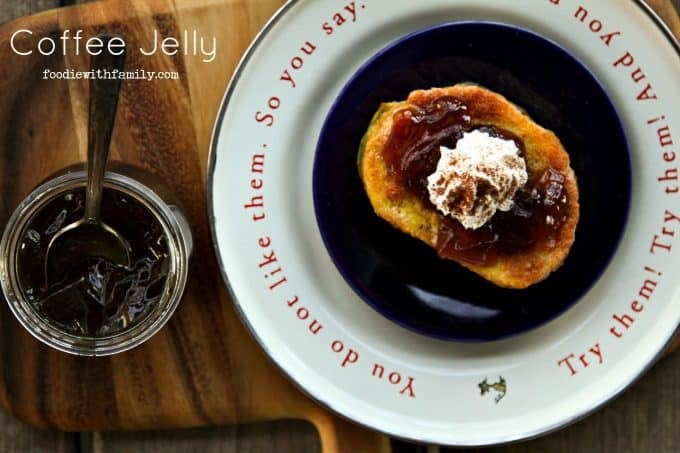 Can you please tell me what kind of results you got from using Sure Jel for the coffee jelly? Any tips or adjustments to help make it successful with Sure Jel? Hi Pat- I am not able to recommend Sure Jel for this recipe as it has failed me several times. I would mail order the Dutch Gel pectin for best results! I’m going to make this. Might I suggest another use? As a marinade for steak? I make a lot of jelly that is used as marinade for chicken or pork. (Orange, peach Bourbon, any fruit combined with Jalapeño). Anyway… I’ve never had a jelly I’d use to marinate beef. I be think this will be perfect. That sounds like a super fun idea, Karen! Hi! I can’t wait to try making coffee jelly! Question for you: if I use Sure gel, do I use the same quantity? I cannot find Dutch gel near me. Hi Lissie- I’d say you could try measuring as much Sure Gel, but I can’t guarantee results like I can with the Dutch gel! You can order it in small-ish bags from Amazon, though! I made this last night with a french roast coffee. I used Sure Jel pectin for low sugar recipes (used 4 1/2 cups of sugar instead of 5 1/2) and it turned out great. I added the sure jel to the coffee and lemon juice, brought it to a boil, then added the sugar and boiled for 1 minute. I’m very glad to hear that worked for you, Connie! Hooray! How many packages did you use? And thank you for the excellent rating! Tried this yesterday using your recommended Dutch gel, ended up with syrup. My ? is are you measuring 8oz cups of coffee or using cup markers on the coffer carafe? Hi there, LH. I am using 8 ounce cups of coffee. If you’d like to try this again, you can reprocess adding more dutch gel! It is naturally softer set and somewhat slack, but it shouldn’t be syrup-y thin. I have a video I’m adding to this post in the next couple of days to show the usual finished consistency. Where did you find the dutch gel? I am having difficulties. My bestie just brought me some coffee jelly from Roatan and I had the same thought – Must Make! We used it’s up as a glaze for ribs. Support yum. Oooh, I LOVE the idea of glazing ribs with coffee jelly, Meadow! Hello, I am living in Turkey where I actually cannot find pectin. Any idea what I used instead? Hello, I live in Turkey and I am crazy about trying your recipe. Unfortunately, I cannot find any pectine here. Any idea with what else I could try it? Hi Eda- I am so sorry, but I’m afraid I don’t know what you could use in its place. I’ve heard you can make your own pectin from crab apples, but it’s kind of a lengthy process and I’m not sure you have those available. I think my best advice would be to ask some local canners or food preservationists what they use! I love my coffee too, but with cream!! Is there a recipe for making it with a creamer? Unfortunately, Karla, adding cream will make it not suitable for canning. Dairy just isn’t stable in the canning process. You could do like we do, though, and serve it on something with whipped cream on top! Hi Corinna- If you have any nearby Amish or Mennonite communities, that’d be the first place I would look. Otherwise, you can order bulk fruit pectin online from Nuts.com possibly! Made this yesterday…dismal flop. Paid $20 to get the Ditch Gel Pectin shipped. Followed instructions to the letter. Have been making jellies, jams and preserves for almost 40 years. This was the biggest failure. May try to salvage…using Cerro or may pour down the sink. Hi Emily- Don’t pour it out! Just double down on your Dutch Gel. You can still save this. 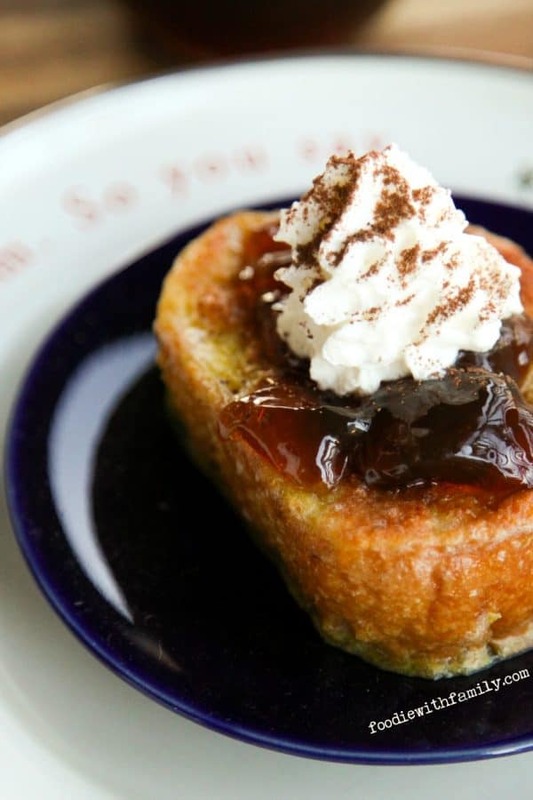 For every 4 cups of jam you have, whisk together 1/4 cup of sugar and 2 heaping tablespoons of the Dutch Gel pectin. Pour the failed jelly into a wide saucepan and stir in the sugar/pectin mixture until it is dissolved. Bring to a vigorous boil and boil for 5 minutes. Transfer into jars and re-process. And remember that this jelly can take a few days to set up to full strength! Could you make this into jellies that you cut into squares and coat in sugar? Hi Beth- You likely could, but you’d probably want to use gelatin vs. pectin, and quite a lot of it! Oh! My! Gosh! I have decided to make this and add to a basket of homemade goodies of butter pound cake, whipped cream and homemade ice cream plus some some chocolate curls to decorate with (will be delivered in a little mini cooler – to Mom for Mothers Day for a decadent dessert treat! Maybe for future real estate clients as well. Sounds AMAZING! TOO excited to wait! Headed to the store for ingredients right now! That is an awesome gift idea, Jennifer! I would love to see a photo of your gift baskets!